This strategy I once saw in a video. 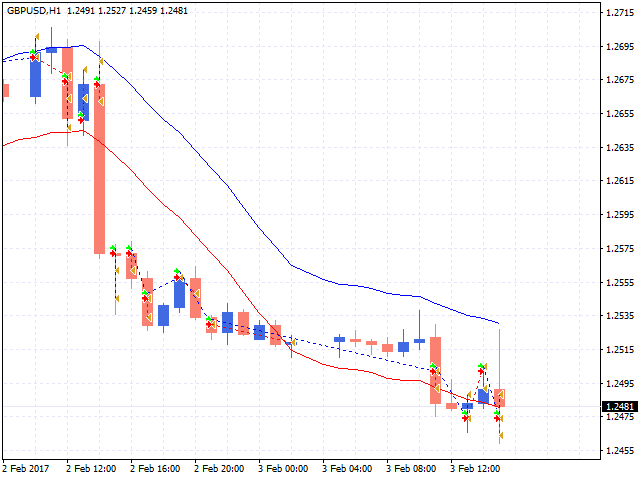 The guy claimed that it is a win-win, but we all understand that the Forex market can not be any guarantees. The essence of the strategy is that 2 orders are placed and each of them has a small take profit, for example, 10 points and a large stop loss - for example, 30 points. Since the market often fluctuates-it collects these 10 points of each order. If the stop loss is triggered, then 1 of the orders will still be closed in plus. Thus, we get 20 points of profit, or 20 points of loss, even if we put a stop loss of 30 points. In case of loss, the lot increases and new orders cover the loss. I tested this idea a lot and realized that it works perfectly in flat! I advise you to work like this-determine that there is a flat on the pair, run this EA and put take profit about half the width of the flat. Then the EA works with the highest return. download the demo version and see for yourself! Everyone who bought this EA-I wish you successful trading! Slippage - Maximum allowed slippage. Stop Loss - Virtual stop loss. Take Profit - Virtual take profit. Max Spread - maximum allowed spread. 0-the option is disabled. Comment - the Comment to deals. Added the ability to select the trading time for each day of the week.